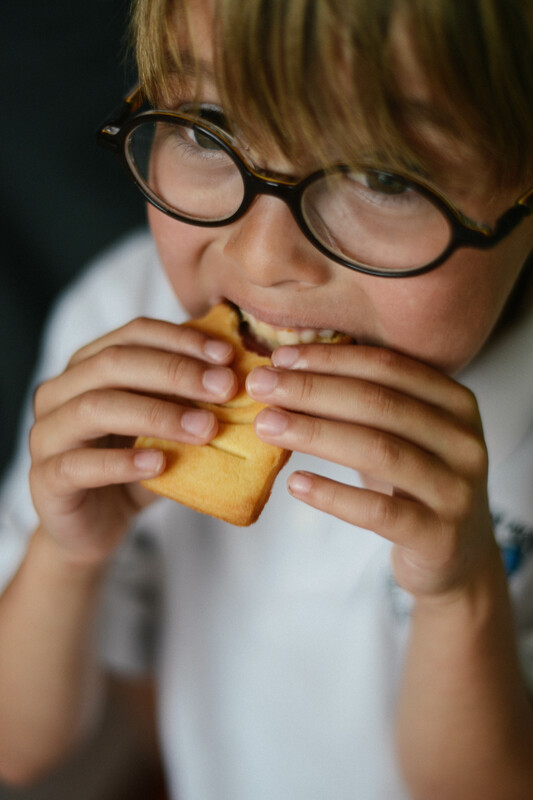 I love food photography because it lets me combine two of my passions: food and photography. I even have another blog with two of my friends dedicated to cookbook reviews, and I often buy food, such as cherries and artichokes, to photograph as much as to eat. That said, I’m always in much too much of a hurry to take very arty pictures of the food as I just want to eat it! I was recently given some cookie cutters in the shape of cameras which allow me to go one step further, and take pictures of camera-shaped cookies. There’s a Rollei-shaped one, another that looks a bit like a micro four-thirds camera and another with a viewfinder that (if you squint a bit) looks a bit like a Leica. We all loved making these cookies, and enjoyed eating them just as much. And the whole house was filled with the delicious smell of baking cookies! I’ve got another set of these cookie cutters to give away. For your chance to win a set, leave a comment telling me how you combine photography with your other passions. 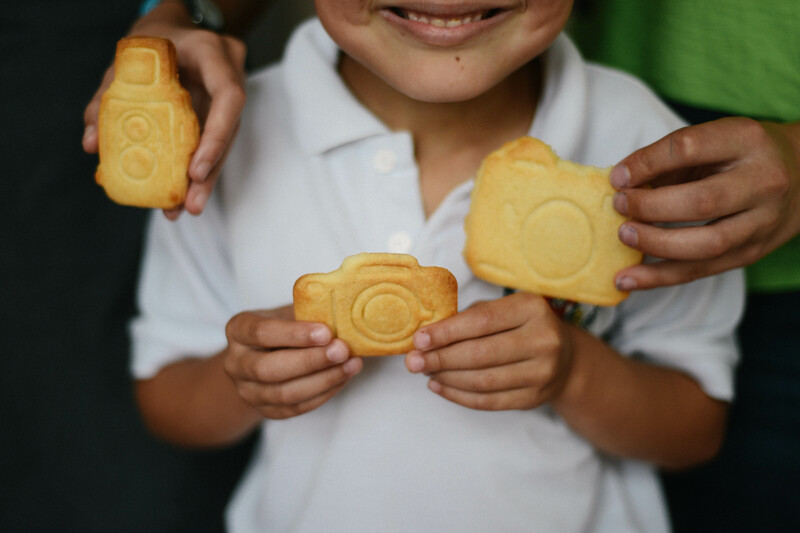 And I’d love to hear which cameras you think these cookies look most similar to! I am currently starting a photo documentation project of women with bleeding disorders as I research hemophilia….I’m loving the challenge and getting to meet these lovely women. soooo cute! how fun is this! so great! i love those smiles. How fun is that. My friends are always expecting me to photograph the food at our gatherings. Thus, they make a special effort for unusual and special presentations. More fun for us all. 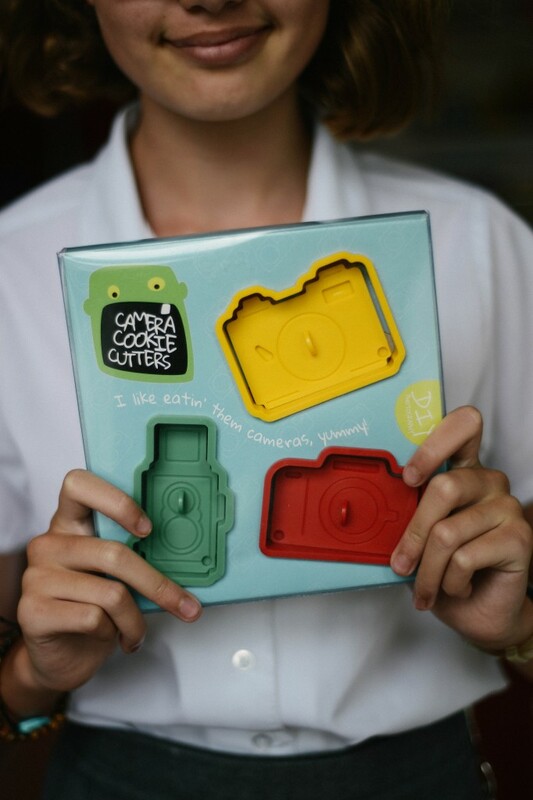 I would love to make camera cookies for all of them. well i want these and those sweet little fingers and smiles, so dang cute! Love these photos Kirstin! The one of Miles taking a bite is fantastic. Kirstin, what charming cookie cutters and captures! Love these photos, Kirstin! I am passionate about the idea of farm-to-table, and I really love to photograph my friends’ and other local farms, local food at the farmer’s markets, and the final product, of course. I combine photography with paper crafting — I’m a rabid scrapbooker!! And I think the green cookie cutter looks like an old Brownie camera (like the one sitting on my shelf right now). What a wonderful idea. I love the cutters. I am new to ‘chasing the light’. I have always been very creative, but photography is one that produces something I not only see, but feel. Images can be very powerful. So I feel I’m connecting photography with my innerself and the things I want to say forever by making a memory. 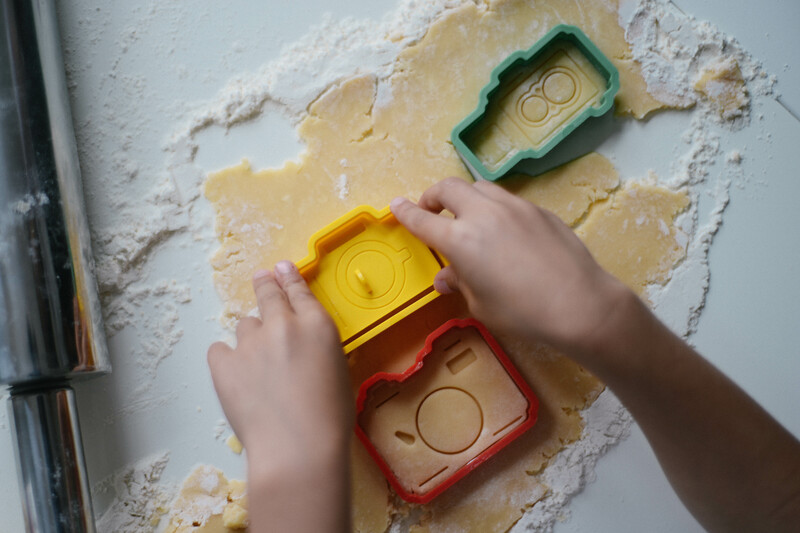 I love the ‘rolleiflex’ cookie cutter. So cute! Great cutters and love your images here, so happy and fun. I guess I’m pretty passionate about my life and that’s what I photograph – food, nature and my family feature the most. Didn’t know you reviewed cookbooks too, fabulous! Off to visit there now too….